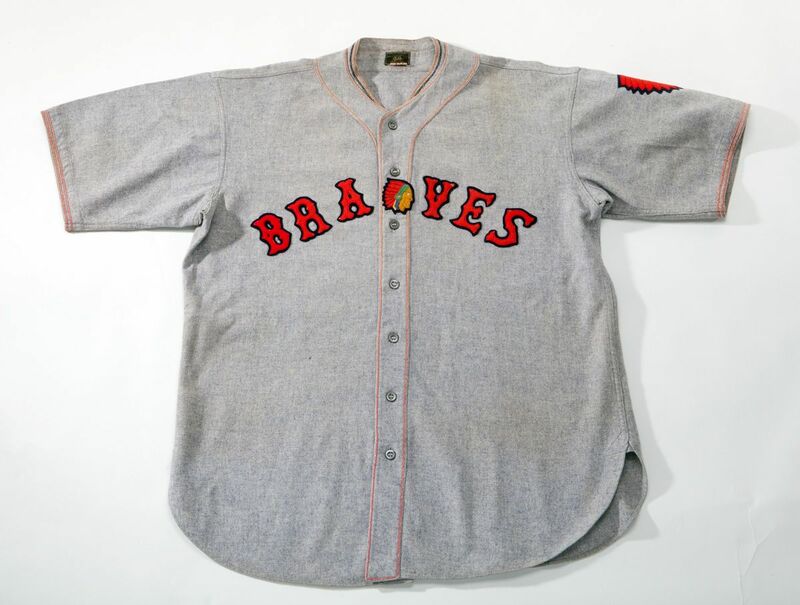 This beautiful, completely original Boston Braves Road Flannel jersey originates from the estate of Braves All-Star centerfielder Wally Berger. A letter from Berger’s widow attributes the jersey to Babe Ruth who joined the Braves in 1935 for his final season as a player on the majors. 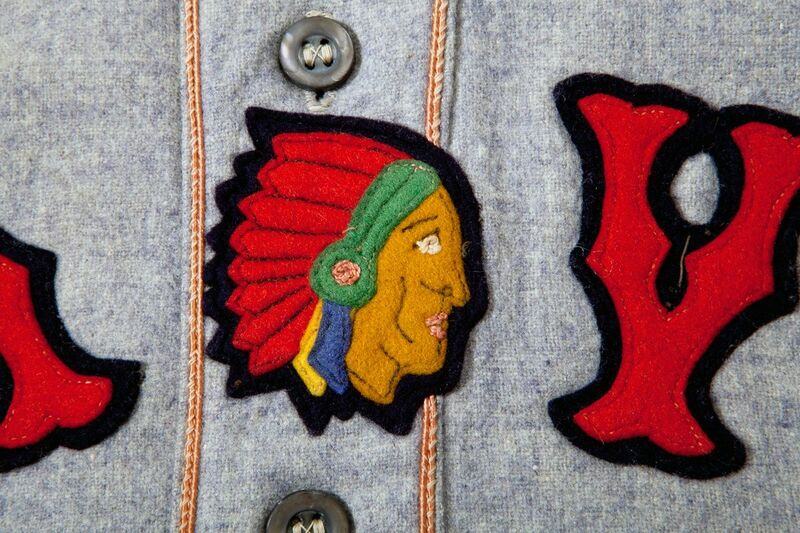 Magnificent both in appearance and size it features "Braves" in red with blue felt across front intersected by a multicolored Indian head (Brave) logo. 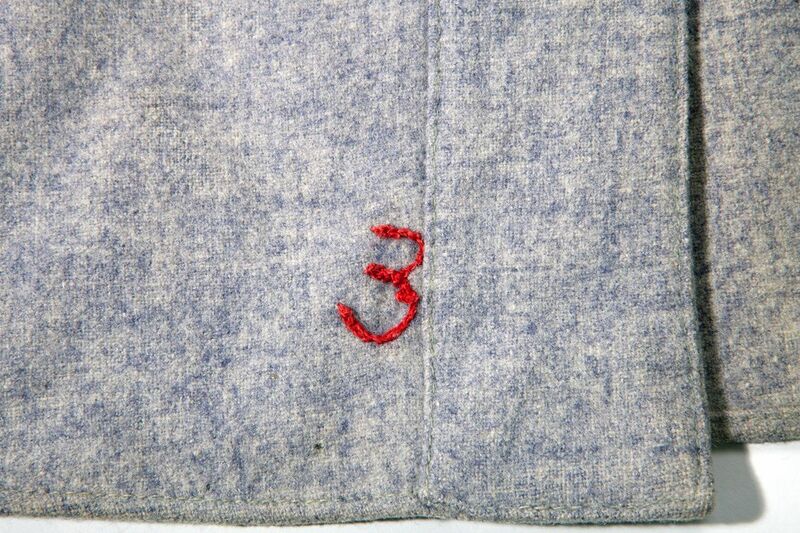 Player #3 also appears in red with blue trim on reverse. 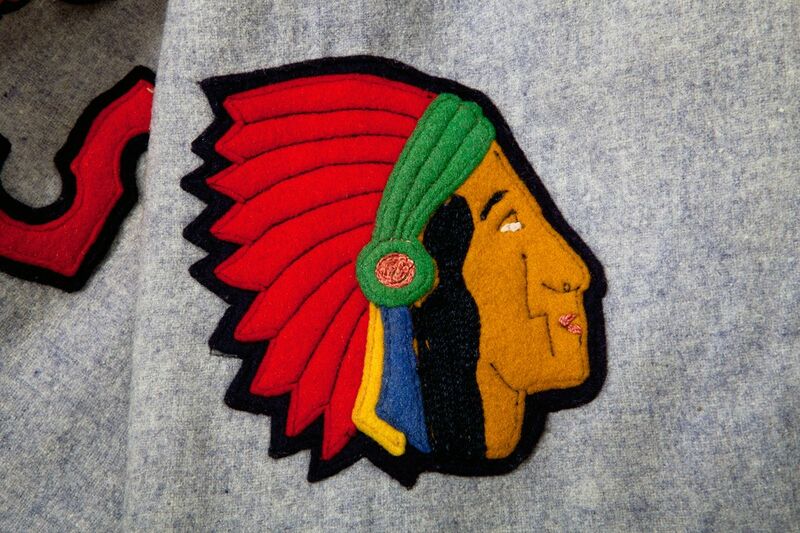 A multicolor Indian head patch appears on the left sleeve. 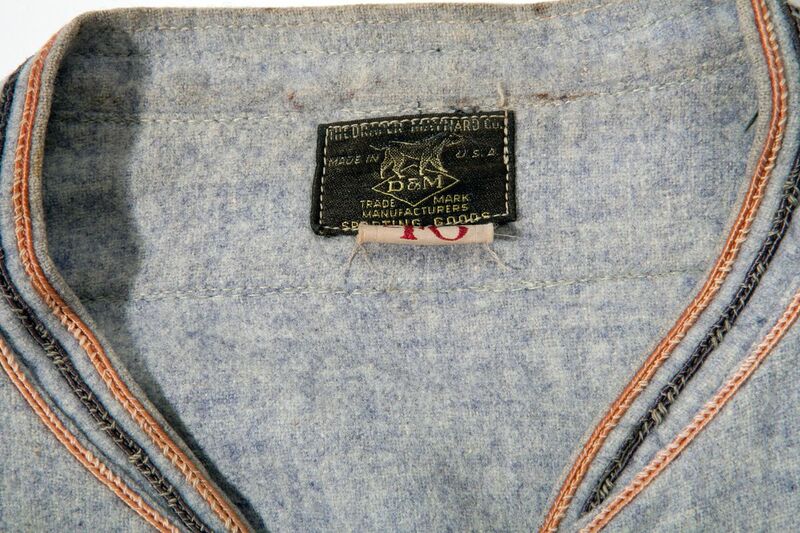 Manufactured by The Draper Maynard Company, all labels, tags, letters, numbers and stitching are 100% original, complete and intact. 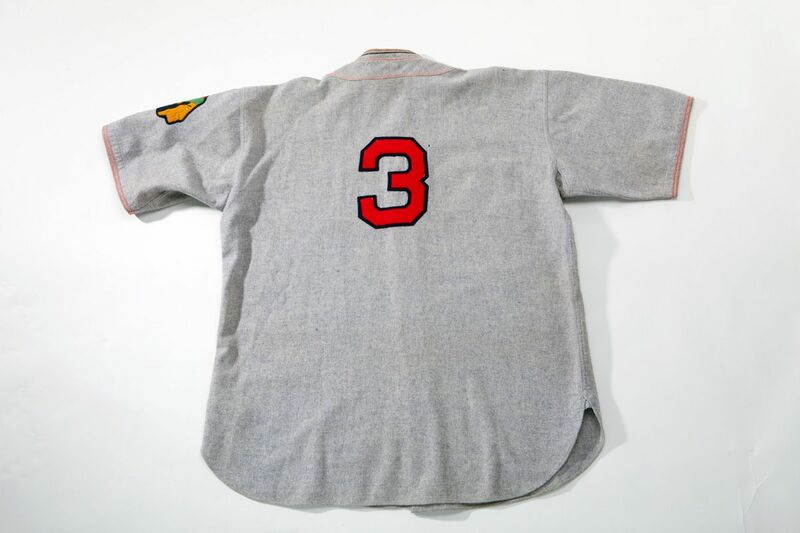 Sourced from the estate of Wally Berger, Babe Ruth's teammate with the Boston Braves in 1935, the jersey was almost certainly worn by Berger himself, who donned #3 for the Braves from 1932-1934. Attribution to Ruth cannot be definitively established based on physical attributes, since among other things, it lacks any name identification or photomatching. The Ruth attribution is based primarily on the accompanying handwritten letter from Mrs. Berger in which she states in part, “The last shirt worn by Babe Ruth with the Boston Braves. My husband Walter "Wally" Berger played in the outfield with the then Boston Braves. Babe Ruth played his last game on May 30, 1935 in Shibe Park, Philadelphia. After the game Babe announced that he was retiring. Wally, in admiration of the Babe asked if he could have his last shirt, Babe responded "Sure Kid" and gave Wally the shirt. Wally kept the shirt in his baseball collection until his death November 30, 1988.” While Berger would have certainly been in a position to obtain the jersey from Ruth as described, leading uniform authenticator Dave Grob of MEARS was unable to verify this and attribute this jersey to Babe Ruth in any exclusive or definitive manner, though does allow for the possibility that Ruth could have worn it in Spring Training of 1935. In addition to their shared uniform number that was transferred to Ruth in 1935, Berger and Ruth were similar in stature. Nonetheless, the jersey stands a superior pre-war style specimen certainly worn by a major star player of the era, with an intriguing link to Babe Ruth. Ruth made his final appearance as a player on May 30, 1935 in Philadelphia when he grounded out in the first inning and then took himself out of the Boston lineup. Out of respect for the hometown fans Ruth waited until the club returned to Boston on June 2nd to announce his retirement, famously stating, "All ballplayers should quit when it starts to feel as if all the baselines run uphill." Includes a comprehensive LOA from MEARS (Graded A9). Auction closed on Sunday, May 20, 2012.